Long before Columbus, the Polynesians discovered and settled virtually every island group in the Pacific, creating a single sphere of cultural life that covered nearly 10 million square miles of the earth's surface. Polynesian sailors crossed the sea in open catamarans, made with tools of stone, bone and coral, their sails woven from pandanus. They sailed without maps, compasses or instruments. According to Polynesian tradition, the first human to see Easter Island was a dream traveler and the island was settled because a young king trusted the traveler’s story and acted upon it. In a time of savage warfare among the Polynesian islanders, a priest named Hau Maka, who was also the royal tattooist, went scouting for a new home for his people. He flew across the ocean in a dream and saw Rapa Nui (Easter Island). On returning from his dream journey, he described the island and its location in great detail to his young chief, Hotu Matu’a. The king trusted Hau Maka’s dream. He gathered all of his people and ordered them to prepare for a long sea journey to a new land. The people set sail with everything they had. After two months, they reached Anakena Bay on Easter Island, and found it just as the king’s tattooist had described. 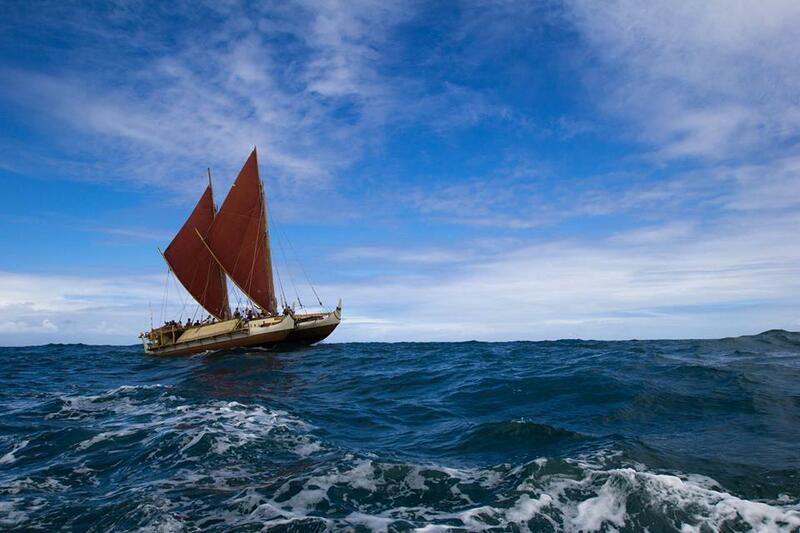 Polynesians crossed more than 2,000 miles of the Pacific to find and settle Hawaii in the same way. Captain Cook saw the skills of the wayfinder when he took the Polynesian navigator Tupaia with him on a voyage of more than 13,000 km from Tahiti to New Zealand. Cook noted that at all times the wayfinder knew the exact direction of Tahiti. It was hard for the outside world to understand or credit their extraordinary prowess as navigators until the Polynesian Voyaging Society launched a double-hulled catamaran, dubbed the Hokule'a (the Hawaiian name for Arcturus, the sacred star of Hawaii) in 1975, and Hawaiians crossed the seas the old-fashioned way. Nainoa Thompson and the organizers brought a master navigator, a wayfinder or waymaker, from Micronesia to train the crew. His name was Mau Piailug. He was born on a coral islet smaller than one square mile, in the Caroline islands. His father and his grandfather were wayfinders. They began his training by keeping him in a tidal pool for hours when he was an infant. When he became seasick on his first sea voyage, aged eight, they tide him to the back of the canoe by a rope and dragged him through open waters until the nausea passed. When he was fourteen, he tied his own testicles to the rigging of a canoe to become fully sensitive to the movements. He learned to read the coming of a storm in a halo round the moon and in the movement of dolphins heading for sheltered waters. In preparing the crew of the Hokule'a for the voyage to Tahiti, he trained them to read wind and water, stars and birds, as he did. The master class took them deeper. On a point of land on Oahu, he had them spin until their senses were blurred and then tasked them to turn, eyes closed, in the direction of the island that was their destination. When satisfied they were pointing the right way, he told them: "Go there. Be there with all of your senses." He wanted them to grow the destination so strong, in their minds and their inner senses, that they would bring the island towards them, Finally, he instructed them, "Hold the vision in your mind so you do not become lost." These are summaries, in exact sequence, of dreams and visions that were shared one evening by members of an active dreaming circle that I lead in my home neighborhood. Not only does each report have mythic power; it is possible to read the whole sequence as a single mythic narrative. Australian Aborigines say that the Big stories are hunting the right people to tell them, like predators stalking in the bush. The trick is to put ourselves in a place where the Big stories can find us. We see from the reports I have quoted above that our dreams provide that place, if we show up and remember. 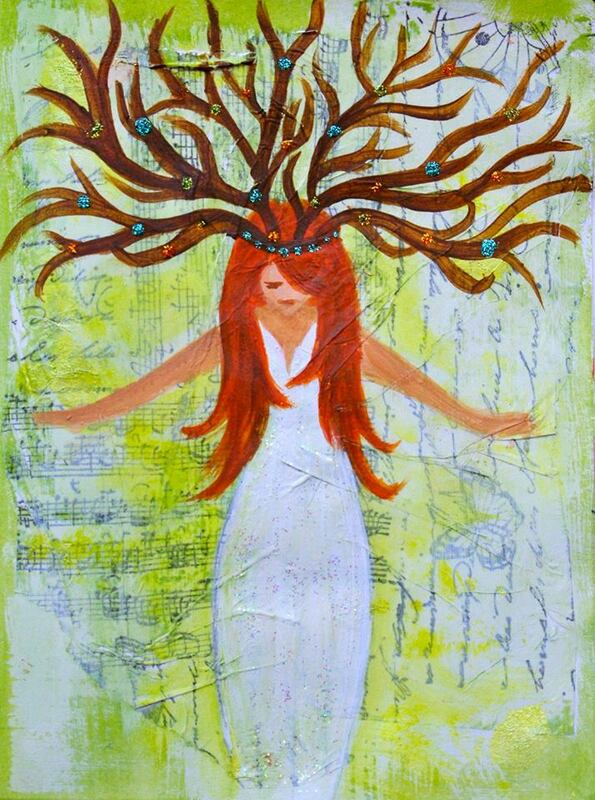 Art by Tracy Cunningham. 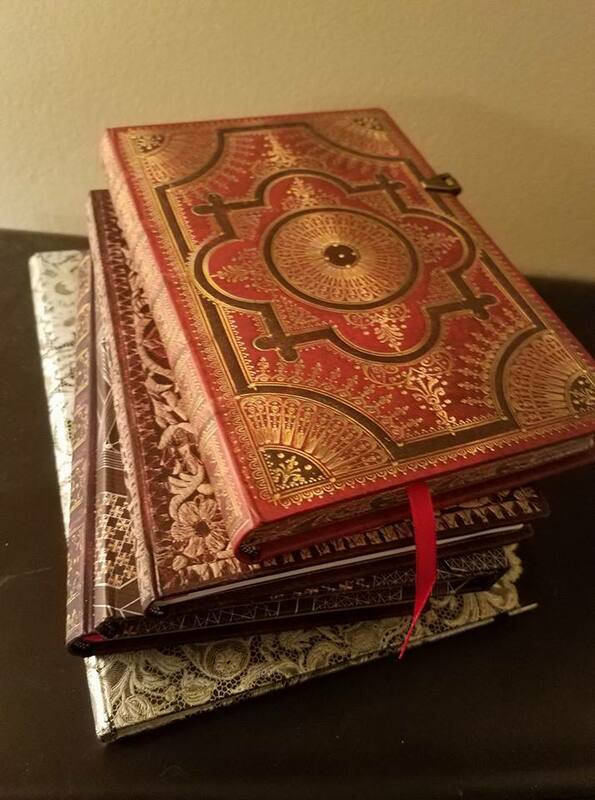 In author's collection. When you look back, you see that it is the humans that are living in cages. In the comfort of their suburban houses and malls and supermarkets they have failed to notice that they have walled themselves in places of confinement. When you look beyond the lion, you see there are no walls, only an open horizon of wild freedom and possibility. The lion says to you, in his gravely lion voice, "You see, my dear, humans are the only animals that choose to live in cages." 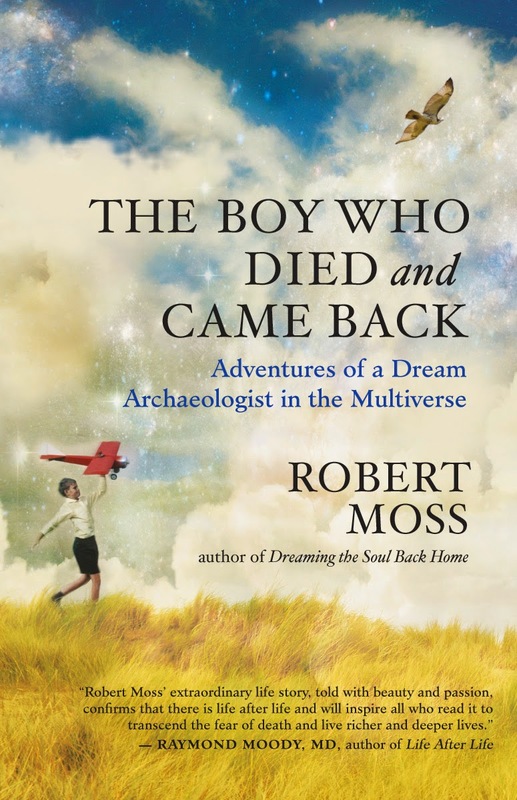 text adapted from Robert Moss, Active Dreaming. Published by New World Library. Remember Orpheus, who went down to the Underworld to try to bring back a soul from the Land of the Dead? 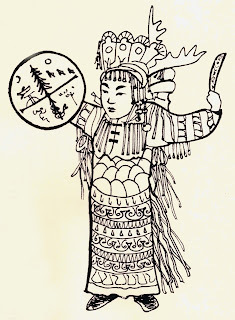 In an epic poem recorded in the Manchu language – related to the Tungusic language family that gave us the word “shaman” – we have a story that folklorists might place in the “Orphic” category but differs from the Greek myth in three important ways. First, the shaman succeeds in retrieving the soul – because, unlike Orpheus, she refuses to look back. Second, the shaman is a woman. Third, she is not operating on behalf of a spouse or lover or even a close family member, as in many tales of this kind. She intervenes on behalf of a stranger in need. A rich boy is out hunting. They call him Sergudai. He kills the animals without reverence, for sheer pleasure. Sometimes he does not even bother to send his retainers to take the hides and the meat. He revels in running down a mature female reindeer; her antlers are bigger than those of the males. He kills her with his arrows, and laughs. The animal spirits complain to Irmu Khan, the Lord of Death, that the order of things has been disturbed. The death lord sends his shadow to strike down the boy hunter and carry his soul down to his inner keep in his sunless domain. The boy’s father, a wealthy headman called Baldu Bayan, is inconsolable. A stranger tells him there is a powerful shaman, who lives on the Nishan river, who could bring back his son. Bayan is skeptical; the local shamans are greedy charlatans and the stranger is a hunchback in rags. 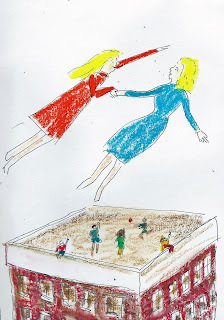 Then the stranger performs a disappearing act on a many-colored cloud, and Bayan understands – whether or not he was dreaming – that his message came from an immortal. “Not me,” she tells him. She directs him back across the river, to another house. When Bayan makes his way back, they tell him on the other side that he has been deceived. Shamans are tricky. Bayan crosses the river for the third time. “You are a powerful shaman. Can you bring back my son?” She must consult her guardian spirits, her onggors. They can take many forms. They promise their help. She must also ask permission from her mother-in-law, because she is living with her husband’s clan, and is required to conform to their rules, shaman or not. She has been a widow for some time, and may be older than she looks. The mother-in-law says she can go. The shaman’s fee is agreed. 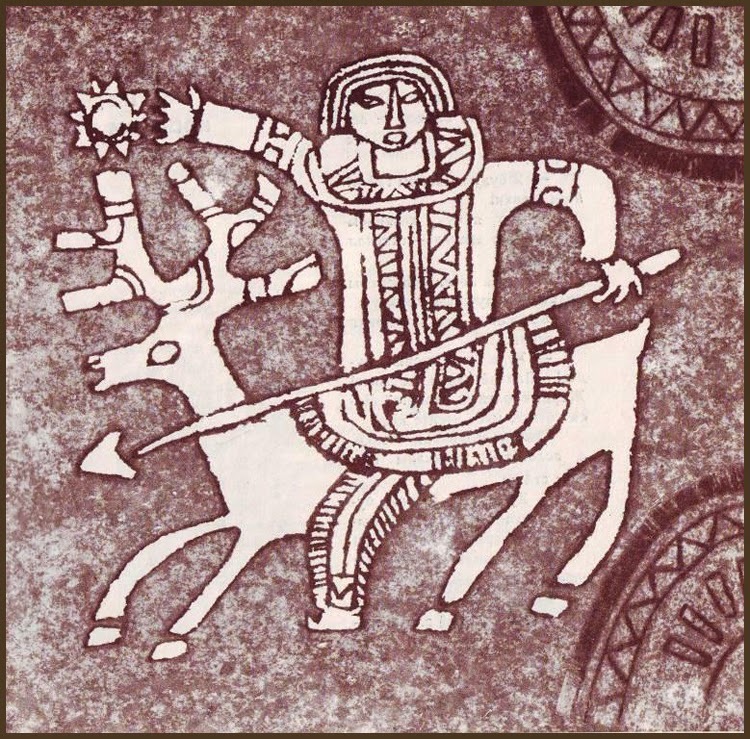 The Nishan shaman gathers her professional tools – her drum, her robe hung with bronze mirrors and horse tails, her antlered headdress – and follows Bayan back to his home, where the son’s body is laid out. She knows that her work will require a long journey, where no normal person would choose to go. Offerings will be required for the gatekeepers she must pass; bean paste and bundles of paper, a dog and a rooster. Her safety requires an assistant who is a powerful drummer and singer, strong enough to propel her along the roads of the Underworld – and, above all, to bring her back. She names the man she must have, Sunny Anggu. There’s an edge of excitement when he is named; we sense that they know each other body and soul. When Sunny arrives, the Nishan shaman gets ready to journey. She is unrecognizable now as the girl with the wash, resplendent in her long fringed coat of skins, hung with bells and horsetails, with a bronze mirror hanging over her heart. In her own language, the mirror is called the “soul vessel”, a place to capture and carry soul. She pounds her skin drum, while Sunny echoes her beat. She is cantering, galloping, turning to the left, her feet almost noiseless in her high reindeer boots. A deerskin fringe flutters over her face, hiding her eyes. The antlers of her headdress sweep back and forth, in a spray of feathers. She dances until there is foam on her lips, until she crumples into a dream as deep as death, her drum over her face. “She dies,” they say. The hoofbeats do not slacken or tire. Her assistant is riding his drum, sending her the power. The steady beat helps her to make a road out of a chaos of fog and sourceless shadows. The road brings her to a river. The Lame Boatman is on the other side. He is a hard bargainer. She has to promise more than is easy before he comes for her in his dugout canoe. There are more crossings, more negotiations, and many tests of her courage. She comes to a river without a ferryman; she crosses by making her drum her boat.She descends at last to the inner keep of Irmu Khan. She sees the soul of the boy hunter playing with a youngster she knows to be the child of Death. None of her companion spirits can help her now. She must raise a cry from her heart and her gut that can reach all the way to the nest of the heaven bird that is her strongest ally. In some lands, they call him the Garuda. The shaman’s cry spirals up from the depths of the Underworld. In the Middle World, her assistant echoes it. The cry rises up the World Tree, and rouses the heaven bird from his nest. The great bird unfolds his long form and swoops down. At the shaman’s direction, he folds himself tight enough, like a projectile, to penetrate the fortress of Irmu Khan, snatches up the boy hunter, and delivers him to the shaman, who places the soul in her mirror. Now she is racing back up the confusing, murky roads from the lower depths, pursued by Death’s servitors. Her animal guardians can help her now, blurring her trail, leading pursuers in the wrong directions. Her greatest test is in front of her. From a mob of hungry spirits, twittering like bats, a man’s shape separates and becomes gruesomely familiar. It’s her ex-husband. He often out her down, when he was still living, beating her if the milk was sour or his meal was late, chasing after other women. But he wants her now, desperately. “Take me with you,” he implores, alternately cajoling and threatening. When she explains that there is nothing to be done for him – his body rotted long ago – he tries to hold her in the Underworld by laying a guilt trip on her, then by brute force. She has to fight him and silence him. “She stamps on his face and his mouth” so stop the words that are draining her strength and resolve. She stops by a kind of registration office and bargains hard for a good long lifespan for Sergudai, the soul in the mirror. She has a moving encounter with Omosi-mama, the "divine grandmother" who "causes leaves to unfurl and the roots to spread properly," who is the giver of souls and protectress of children. We learn that it was Omosi, no less, who ordained that Teteke would become a great shaman. The Nishan shaman loses so much energy during all of this that she might never make it back, except for the pull of the drum. Sunny is beating harder and faster, calling her back. Now she is riding his beat, back to her prostrate body. When she rises in that, she can finish her job by fanning the boy hunter’s soul from its vessel – the bronze mirror – back into his own body. The Nishan shaman has dreamed strong enough to rescue a soul even from the fortress of Death. Her feat does not go unpunished. The Nishan shaman is not allowed to enjoy her triumph for long. In the Manchu text, her late husband’s mother brings the equivalent of a legal action against her, for failing to bring her ex back. She is forced to relinquish the tools of her trade – the antlers and the mirror, the robe and the drum – and to give up her lover, the indefatigable drummer, and becomes just another of the drab “work women” in her village, bound to the routines and taboos of her husband’s people. In this last version we encounter a perennial theme in the history of women. For more on the Nishan shaman, please see The Secret History of Dreaming, chapter 1. In this telling I have interwoven (a) the Manchu version translated in Margaret Nowak and Stephen W. Durrant, The Tale of the Nishan Shamaness: a Manchu Folk Epic. Seattle: University of Washington Press, 1977 with (b) oral traditions, especially a Daur Mongol version transcribed in Caroline Humphrey and Urgunge Onon, Shamans and Elders: Experience, Knowledge and Power among the Daur Mongols. Oxford: Clarendon Press, 1996. M. A. Czaplica, Aboriginal Siberia, a study in social anthropology. Oxford: Clarendon Press, 1914, p 243. Stephen W. Durrant,, “The Nišan Shaman Caught in Cultural Contradiction” in Signs, Vol. 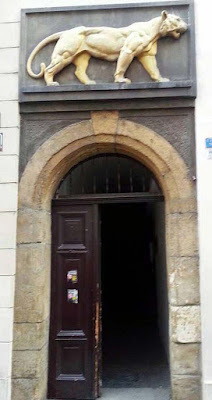 5, No.2. 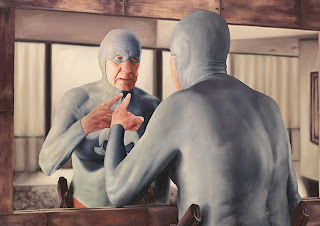 (Winter, 1979), pp. 338-347. 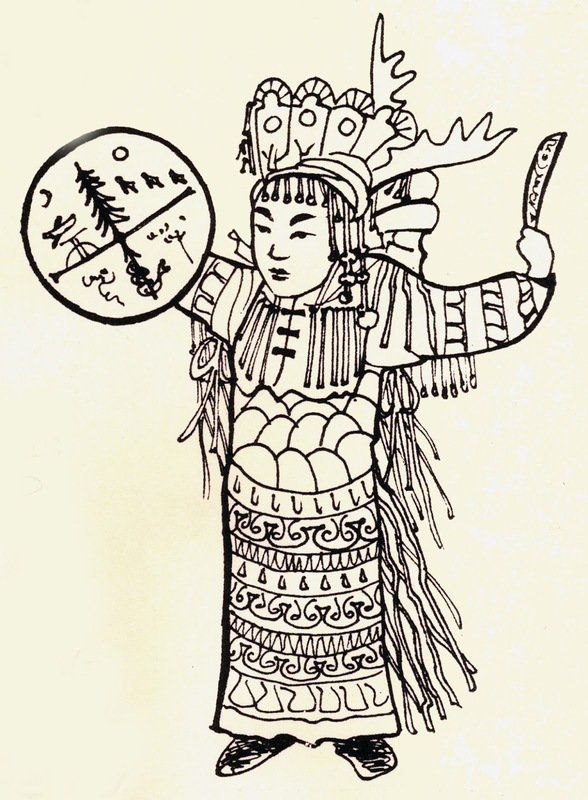 Image: The Nishan shaman with her drum and antlered headdress. Illustration from Nowak and Durrant (trans.) The Tale of the Nishan Shamaness: a Manchu Folk Epic. For Plutarch (c 50-120 AD), the realm of the Moon assumes huge importance as the residence or way station for some (though by no means all) spirits of the departed, and the base for a variety of daimons (many of them formerly humans) who take a close interest in Earth affairs. Plutarch knew what he was talking about. He was not only a marvelous historian and philosopher, but a Mystery initiate, who spent his last thirty years as a priest at Delphi, communing with the gods and traveling between the worlds. He traveled in Egypt and wrote a treatise on Isis and Osiris that has a continuing influence on our understanding of ancient Egyptian religion. Plutarch explains how after death spirits that are able to rise beyond the lower astral plane may enjoy a pleasurable afterlife in the realm of the Moon. They may live on there for a great length of Earth time, or graduate to existence on a higher plane, leaving their astral bodies behind. Or they may become Moon-based daimons, closely engaged with human affairs, playing far-from-infallible guides to people in the physical world. 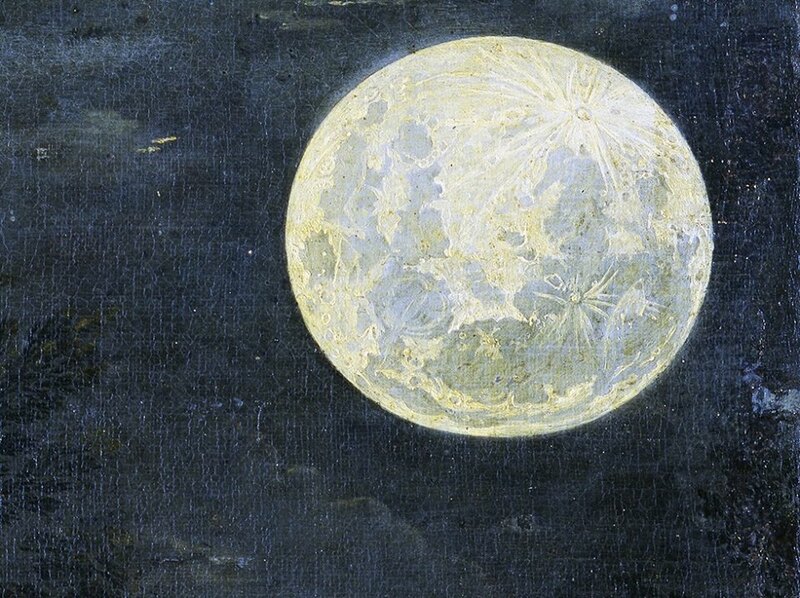 In a most remarkable tract titled" Concerning the Face that Appears in the Orb of the Moon" Plutarch gives a comprehensive account of the role of the Moon in relation to the soul history of humans. The Moon is here described as the portal through which spirits travel on their way to birth on Earth, and to which they ascend, if they pass certain tests, after physical death. Some of these spirits of the departed may be promoted to the status of daimons, with permission to interact with the living. These spirits of the Moon, far from omniscient or infallible, are on probation.If they act unfairly, giving in to wrath or envy, they are cast out and again confined in human bodies on earth. Plutarch shakes up our mythic geography when he tells us that Earth is the realm of Demeter, the Moon of Persephone, and everything between Earth and Moon is the realm of Hades. Entry by the departed into the realm of Luna requires the ability to travel beyond the temptations, fears and distractions of the lower astral (Hades) and go through a clean-up, effected by “scrubbers” (maybe resembling scarab beetles). In summary, this ancient shaman-philosopher confirms that It is in the realm of Luna that spirits take on and take off the astral body before birth and after death. And that the Moon, as an astral realm, is the base for a large population of daimons (many formerly human) who have a close engagement with human affairs. 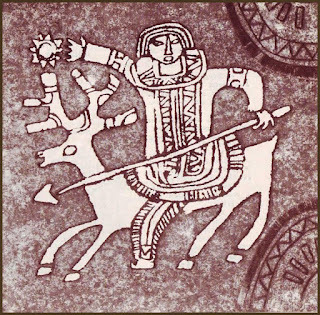 An Evenki reindeer herder told Vitebsky, "A kujjai is a very special kind of reindeer. Its eyes aren't like an ordinary reindeer's. I can't really explain it. It's like a shaman's, I suppose - it's hypnotic." Pick the right bedtime reading or better still, tell stories. Help your child to weave a web of good dream intentions for the night - for example, by asking "What would you most like to do tonight?" Encourage children to sleep with a favorite stuffed animal (whether teddy bear or T-Rex) and make this a dream guardian. If your child was scared by something in the night, recognize you are the ally the child needs right now. Do something right away to move out that negative energy. Get a frightened child to spit it out (literally) or draw a picture of what scared her and tear it up as violently as possible. Encourage the child to bring dreams come alive through art, dance, theater and games, and to draw or paint dreams. Gather friends and family for dream-inspired games and performance. Puppets and stuffed animals can be great for acting out dreams. This can also be dress-up time. It's such a release for kids to portray mom or dad or other grown-ups in their lives - be ready to be shocked! Dreams can show us things that require further action - for example, to avoid an unhappy future event that was previewed in the dream, or to put something right in a family situation. A child will probably need adult help with such things, starting with your help. 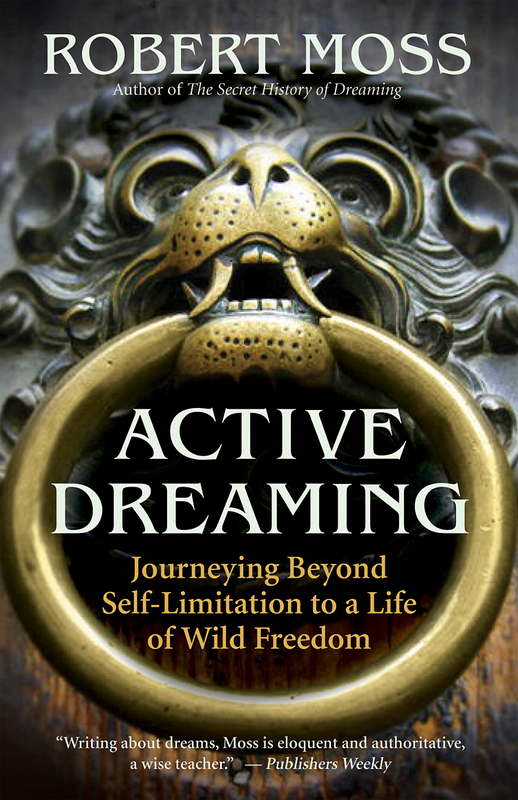 This will require you to learn more about dreaming and dreamwork, as you are doing now. 2. Do NOT interpret a child's dreams. You’re not the expert here; the child is. I have a friend who has held high office in the Swedish government, a man deeply versed in both the humanities and science who has attended Nobel Prize dinners under the three crowns of Stockholm’s town hall. I was delighted with this revelation, which sounded like something from Scandinavian folklore. It also occurred to me that there are the elements of a practice here that can be very helpful for all of us on our road to manifesting our life dreams. Each of us has an ugly dwarf inside us. You’ve heard his voice. It’s the one that’s forever reminding you of your failures and shortcomings. He knows your every weakness. He won’t let you forget how you let yourself or others down. Let him vent for long enough, and you’ll squirm with self-loathing. And this can become a moment of power. Let your ugly dwarf pull you down far enough, and you may find yourself bouncing up with fresh ideas and new vigor. Why? Because there is energy in all strong emotions, including the ones we tag as “negative” and that a certain kind of self-help book advises us to avoid. Let your ugly dwarf beat you down, break you down, and rattle you out of the need to maintain pretenses and defenses. Then move with the energy of the emotions this releases. But don’t put up with someone in your social environment who tries to play ugly dwarf; accept no substitutes for your very own version. 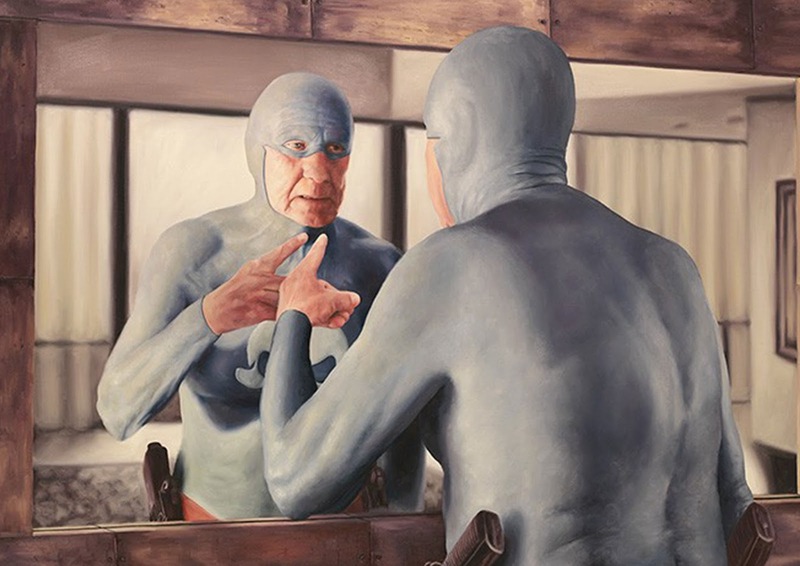 Photo: Andreas Englund as "The Old Superhero"
The once immensely popular historian Arnold Toynbee aspired to write a universal history, and in his 12-volume work A Study of History he traced the rise, flowering and decline of human civilization. Few generalists have equaled his breadth of scholarship and his ability to synthesize, although academic specialists have poked many holes in his work. 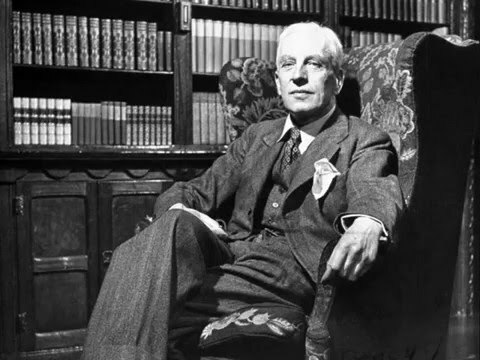 It's intriguing that Toynbee reported that in the course of his researches he became a time traveler, finding himself deeply engaged in dramas of different eras. He describes being "carried down in a 'Time pocket'" and experiencing "the local annihilation of Time" in Volume X of A Study of History. His revelations come in Section XIII. “The Inspirations of Historians” part E. “The Quest for a Meaning Behind the Facts of History”. A tenuous long-distance commerce exclusively on the intellectual plane is an historian's normal relation to the objects of his study; yet there are moments in his mental life -- moments as memorable as they are rare -- in which temporal and spatial barriers fall and psychic distance is annihilated; and in such moments of inspiration the historian finds himself transformed in a flash from a remote spectator into an immediate participant, as the dry bones take flesh and quicken into life. He describes how, mulling over some dry research – a précis of one of the lost books of Livy’s History – he was hurled into intimate engagement with a war between Rome and confederate Italian states. He was “transported, in a flash, across the gulf of Time and Space from Oxford in A.D. 1911 to Teanum in 80 B.C., to find himself in a back yard on a dark night witnessing a personal tragedy that was more bitter than the defeat of any public cause” – to witness the fate of Mutilus, a proscribed confederate leader denied sanctuary at his home by how own wife, who takes his own life by the sword. His experiences of mental transport across time quicken as he travels to ancient sites – and enters the perspective of Philip of Macedon, checking his battle lines, or is present to a roaring crowd at Ephesus, or falls again into “the deep trough of Time” after climbing to a ruined citadel in Laconia. "In London in the southern section of the Buckingham Palace Road, walking southward along the pavement skirting the west wall of Victoria Station, the writer, once, one afternoon not long after the end of the First World War -- he had failed to record the exact date -- had found himself in communion, not just with this or that episode in History, but with all that had been, and was, and was to come. "In that instant he was directly aware of the passage of History gently flowing through him in a mighty current, and of his own life welling like a wave in the flow of this vast tide. The experience lasted long enough for him to take visual note of the Edwardian red brick surface and white stone facings of the station wall gliding past him on his left, and to wonder -- half amazed and half amused -- why this incongruously prosaic scene should have been the physical setting of a mental illumination. An instant later, the communion had ceased, and the dreamer was back again in the every-day cockney world which was his native social milieu and of which the Edwardian station wall was a characteristic period piece." Due diligence: though this statement is widely circulated, I have been unable to nail down a source in Toynbee's published works. Perhaps we can practice "mental transport" across time or dimensions to see whether he will claim the statement, and whether he wants to add to it in the context of what has unfolded since his death. And the tiger is one of the forms that returns. I loved this dream resolution. I know, as young children know, that the tiger is power that can indeed help and protect. 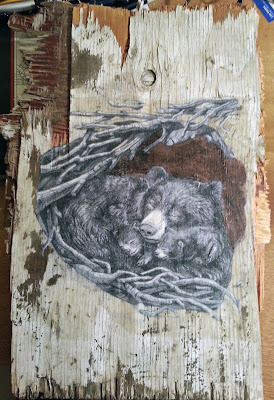 In soul recovery work, the tiger – as well as the bear – has often been my ally in persuading lost boys and lost girls to return to an adult self from whom they separated because of pain or abuse or trauma in early life. Those child selves often trust the tiger more than the adult, to keep them safe and to make life crazy fun. The tiger must be gentled to purposes of this kind. The tiger must also be fed. For six weeks, in the late 1990s, I decided to go vegetarian. Towards the end of this experiment, I visited a zoo south of Montreal with my family. I was edgy as we neared the big cat enclosures. Though the zoo was well laid out, with space for the animals to roam, big cats do not belong in confinement. I glanced through the bars at a group of Sumatran tigers dozing in the sun. “Look, Dad!” my youngest daughter exclaimed. “That one is looking at you.” I looked again and saw that a male tiger had sat up and was staring at me. Suddenly he bounded from the slope where he had been napping to press his face against the bars, still staring at me. I returned his stare, wondering if he felt – as I did – that we were kin. He sniffed me, gave a kind of shrug, and loped back up the hill to resume his nap. I got the message. He may have considered the possibility that we were related, but one whiff on my body scent had assured him we were not. Tigers are not vegetarians. I returned to eating meat – starting with bacon, of course, the vegetarians’ favorite kind – and one night the tiger returned to me. Reclaiming his power was not easy. I learned again that night that there is a price for gaining and maintaining a relationship with a true animal power. 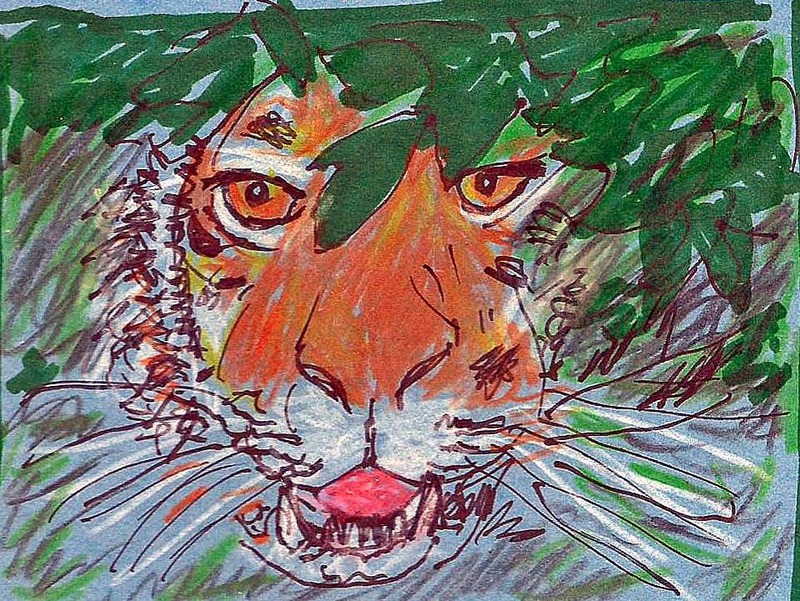 The tiger irrupted into my space that night as an energy form that was entirely real, more real than the darkened room around us. He made me fight with him, hand to claw. Few, if any men, could hold their own in a wrestling match with a tiger, and I was certainly not one of them. He made me fight long and hard, until I was bloodied and torn. Then, relenting, he gave me a harder assignment than combat. He told me I must eat his heart. He opened his chest, and I took out his steaming, beating heart, dripping blood. Half-gagging, I forced myself to eat the tiger’s heart. This felt exactly like eating the living organ. From that time, the tiger was with me again, available whenever I needed his help. He was ready to yield pride of place to other allies, like the bear, when their talents were needed, and even to introduce new helpers. When I landed at Cuzco in Peru in 1999, I was cautioned to be careful to avoid altitude sickness. Our guidance was to take this slowly, and relax in the hotel lobby for an hour with some coca leaf tea. It was stressed that the tea would calm and strengthen us but was unlikely to have hallucinogenic effects because the coca content was so small. I did not regard what I saw in that hotel lobby, beyond the comings and goings of tourists and staff, as a hallucination. I saw the tiger, moving in front of the desk and a wall covered with murals with Incan themes. He was a translucent form. He signaled to me that I was going to need help up here in the Andes, and that he would send the right helper to my room that night. I should make myself ready. Near midnight, in my hotel room, I lay on my back on my bed, looking out the window at a night full of stars in constellations whose names I did not know, or recalled only vaguely from my childhood in the Southern hemisphere. I felt an urge to go flying up among those stars, and to bring back their names, and something like a grid opened in my perception, inviting me to go through it. My body started to vibrate and I heard the kind of humming I had long associated with the run-up to conscious astral projection. An instinct of caution was still with me. Was it really safe to leave my body in an environment I had not yet tested, without defenses? I did what the puma suggested without hesitation, since this new helper had come with the right introduction. I felt the energy of the mountain cat streaming through my blood, toning my muscles, flexing my sinews. Over the ten days that followed – though I am not athletic and do not work out – I was the fittest member of our party. I had no difficulty with the altitude, no fear of heights, no shortage of breath. Tiger is not only a fierce but reliable friend. He is willing to share his whole tribe. Only the foundations of the healing shrine of Sequana at her spring, the Fontes Sequanae, survive, but we can glean a great deal about the ancient practice of dream incubation for healing from the contents of two pottery vessels discovered at the site. One contains more than a hundred carved effigies of eyes, breasts, limbs, heads and internal organs. A second vessel contained more than 800 similar carvings. Pilgrims who needed healing for the parts represented ascended a series of terraces, pausing perhaps to drink from streams and cisterns containing the sacred waters, before reaching the main sanctuary and being admitted to the place of sacred sleep. Grateful travelers paid for inscriptions at the site thanking Sequana for gifts of healing, evidence that we have here a Celtic parallel to the practice of Asklepian dream healing in the ancient Mediterranean. 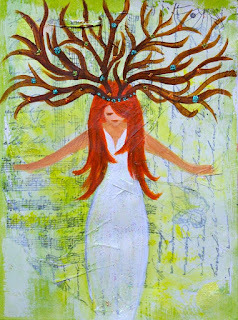 In reviving the memory of the "Fast-Flowing" Goddess, as we do in my Celtic-themed workshops and gatherings, we step towards cultural soul recovery - and remember a healing practice that can transform our lives. 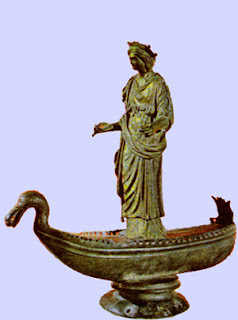 Image: statue of Sequana in a duck-headed boat in the Musée archéologique de Dijon.